Due to unsafe traveling with the child the percentage of dead child passenger is increasing day by day. From a survey of 2010, we learned that about 2.2 million children of US traveled internationally. But the amount is now huge. So taking care of the children is now an important issue when they are traveling. Children totally depend on their parents. So the parents have to be conscious about their child’s safety. Parents should take the necessary steps for the safety of their child in the hostile weather when their children are traveling with them. Without taking proper steps in both cold and hot weather, your child will be easily sick. It can be a deadly risk for your child also. Generally, the most hostile weather is the hot weather. The excessive heat is intolerable for us, especially for the little kid. in this weather, it becomes so tough to move from one place to another. People always suffer from dehydration. Child’s tolerance limit is not so good as that of an adult person. So the babies easily become sick in the hot weather, if the parents do not take proper care of them. We the parents should more conscious about the children. Especially when we are taking them outside of the home for our journey. We have to learn about the facts and ideas which can save our child in this hot weather. Hot weather can easily make young children and infant ill in this hostile weather. So how we will fight or protest it, we are discussing below step by step. Use the reflective sunshade to keep your car cooler. On the rear and front windows use the sunshade to keep low the temperature of your car. Try always to park your car in the shade. Tinted windows are also very useful to block UV rays and keep the car cool. Before starting your journey cool down the temperature of your baby’s infant car seat. Put the freezable ice pack in a waterproof cover and place it on the car seat. Before putting your child in the seat, remove the ice pack. Your baby will then enjoy the cool seat and it will not make any harm to your child. Use the sunshade to block the coming way of the sun from the side windows. The car seat shade of Protect-A-Bub is a high-quality sunshade for older kids. It is soft and flexible. Your child will stay safe from it if you ever face any accident. It can be used when your car is parked. Roller sunshades are not safe. It can harm your child seriously in the accident. Wet the child’s head and face with cool water before starting your journey. If you are traveling in your car’s air-conditioned mode, please avoid the wet clothes your child. In the air-conditioned mode, your child’s wet clothes will become excessively cold and your child will become ill. Carry a water spray bottle with you on the journey for your children. Older or toddler both of them will enjoy holding the spray bottle as a toy and they can use it to keep themselves cool. Older children can use spray bottle which is attached to fans. It will make your child’s face wet and the fan will provide them cool wind. Learn every other ways to cool down your child also. 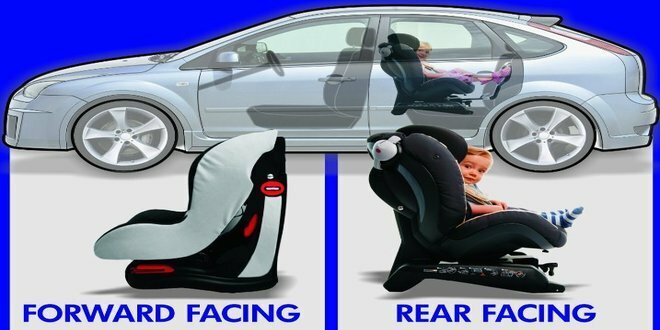 There are some products are available in the market which can be used in their best car seat. These products should be used with the straps, not under the straps. Using the straps can bring opposite result. While we are traveling by car, the very important thing is to keep our infants warm during the winter season. The winter season is not only an enjoyable season, but also it is very dangerous for kid’s health. So we should be very conscious of keeping our baby safe. Now learn about some steps which can keep our beloved children safe in the cold weather when they are traveling with us. Before getting into the car, first, you have to dress your children in layers. It will keep your children warm and dry. Infants should be dressed one or two layers more than they regularly wear. Dress your baby according to the winter weather. Your main target is keeping your baby comfortable while traveling. Make sure kid’s fingers, nose, toes and chin are covered up with clothes. You have to use a hat, footie pajamas and warm blanket above your child. But to avoid suffocation all blankets far from your baby’s face so that children can take breathe easily. The babies have to buckle up into the car seat and get the straps comfortable. You should not put on a blanket or a snowsuit under the vehicle seat straps. But if the vehicle warms up, you will take away the heavier blanket. Some people use a baby sleeping bag in travel time, it has a level of fluff that goes under the infant’s body but where there is no need to add fluff. These types of sleeping bag are sold individually from the car seat. If you like to use a sleeping bag in the car, first you have to cut the fabric which is behind the child’s back and then sew it. For children’s safety, when they are traveling the parents should take proper care of their infants and older children in the cold weather. Have you ever heard about the term “4 inches”? If not, then come to our next part to learn that why it becomes so deadly to our children. In cold weather, parents should take an extra care to protect their children. If you are not conscious about it, just 4 inches can make a big occurrence. When you wear a size 36 pants without belt instead of size 32, then you can understand the difference of 4 inches. So you should be aware about 4 inches. In the car, wearing a jacket is a very dangerous for children. You think jacket or buntings keep your baby warm but it is too risky. When you strap the baby and she/he is already wearing a puffy jacket. Actually, the straps are very loose because the jacket creates a gap between the safety strap and your baby’s body. It seems very tight but actually it is too loose to be safe. Keep the thing in your mind that at her/his collarbone, if the gap is only one finger that will be OK but more than like 4 inches considerably increases the risk of injury. At the time the puffy coat compresses and it creates a perilous space for a baby’s body to move. In the car crash, it causes a serious head and chest injuries. It is a silent killer…! Moreover, the safety issue, winter jacket, and coats can make baby overheat in the car. The little kids will not able to say anything and if you leave them in that overheat position, their health condition will be decreased. So, to keep your baby safe, you have to concern about it. Wait… We are not finished yet. Now you should learn the procedure about keeping both your baby and the travel car seat warm safely. Step 1: Before strapping your child in the child car seat, you should dress your baby in layers. To dress your child, use 2-4 thin and tight layers. Do not be confused, so quickly! It is not a fixed amount. Observing the temperature under the car and the outside of the car, you can increase or decrease the number of layers. By using the heater in your car, you can control the temperature and you will be able to make a comfortable environment for both of you and your child. Long sleeve undershirts and leggings make a perfect base for any age’s baby. You can get the thin and tight jacket for children in the market. These are specially made for using it in the car seat. Do not use thick jackets, which will produce room between your baby’s chest and the straps. That can be so dangerous in the accident that your baby can die. The 3-in-1 jacket can be a great item for your baby’s safety. You can use it as a blanket over the seat straps. Again, you can remove the upper part and leave the fleece under straps. That will keep your baby warm and safe also. Both of it is available for toddler, infant, and lids. The price is also reasonable. Under $30 you can buy a great jacket for your baby. It gives your baby a snug fit and your baby can use it for a long period or a full winter. Step 2: now, buckle your child carefully in the seat and snug the straps tightly. Step 3: cover your children over the seat straps, if they need to keep warm. But do not cover them so much that, they feel they are staying in a hot pot. That can bring an opposite result. Swaddle your children over the seat straps is much safer. Warning! Do not think again to swaddle under the straps. Swaddle your baby with a thin blanket first and after that, use a heavier blanket. Now swaddling with both blankets will keep them and soothe and warm. Want to be the enemy of your child? Of course not! Then do not let them overheat. If the temperature of the car increase, remove the heavier blanket. 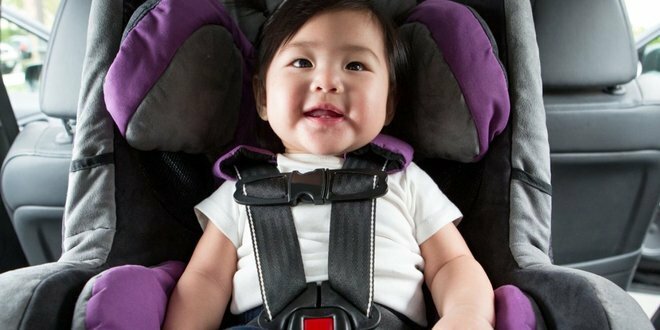 This process can easily keep your infants safe and warm in the car seat. You may think that 7A.M. ENFANT NIDO is not safe enough for your children. But do not think like that. It is absolutely safe. These covers have shower cap style and they have an elastic rim. You can cover the seat with it and it will not go under the seat straps. It can easily keep your baby warm. It does not let the hands of others come near to your baby when you and baby with others person. You can also use blanket inside the shower cap if the weather is extremely cold. Wait a minute! Do you need the information about sleeping bags for children? Sleeping bags for the children is a new product in the market. It can easily fit with baby’s body. But it has a buff layer which goes under the child’s body. It adds fluff around baby’s body where the additional fluff is too dangerous for the baby. It is not crash tested or it does not meet the standards also. Manufacturers of car seat have strictly prohibited these type of sleeping bags. If you bought the bag and do not want to throw it in the garbage. Then you can use it after customizing it. Like the sleeping bag of 7 A.M., it is specially designed. You can use the parts of the bag separately. You can cut the upper part and leave the lower part. Lower part should not be used. Because you have to cover your baby with the upper part of the bag over the seat or the strap. You can use the lower part in the stroller. Wearing the coat on backward style can be a great funny style for kids. They always love to do ridiculous things. So they will love to wear it in that style. It is safe style. If they wear it in that style over the straps, then it is totally safe. It will also save them from cold and they can easily remove it when they will get warmed enough. You have to use the thin coat to apply the style for your beloved children. The thin coat has 50% fluff, where the thick coat has 100%. It is not usable for extreme cold weather. It should be used in mildly cold weather. If your baby gets warm, he can unzip it easily and make himself comfortable. But it is true that do not use the bulky coat in the journey, it is not safe enough to use in the car seat. Now, we are going to introduce you to some brand of coats, which are safe and specially made for using in the car seat. It is the one and only coat in the market, which is bulky and safe for kids when they will go to use it in their car seats. 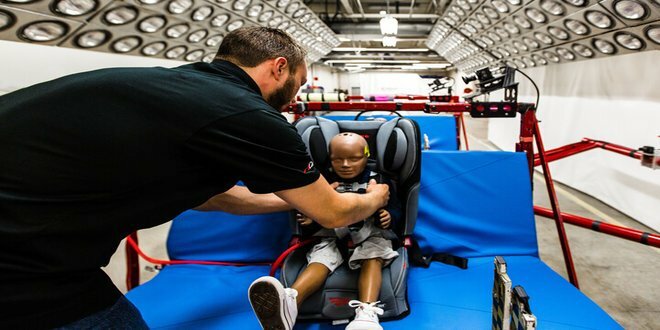 Modern technology has made it possible to make a bulky coat safe for the child passenger. It has a unique open system and it allows the seat straps to move under the Cozywoggle coat. The ponchos provide thick fleece of two layers. They are also known as hooded ponchos. They wear well and durable. It is a super warm and deluxe blanket with sleeves. It can be used in any place, where you want to use. The cover’s bottom can snap up easily to keep the legs part warm. So you do not have to use any extra blanket. Now use it in the stroller, or in the car seat, or in the home. The blanket provides holes for hands and a hole for the neck. So your baby can easily play. You can get many types of the blanket of Bonchos. One has a single layer of fabric and another one has a double layer of fabric. Less than 3 years old baby can easily use it. You can use the way, what our parents and grandparents had done for us when we were the child. The blankets of old-fashioned can be widely used and you can keep it in your car to cover your baby over the seat to keep them warm. In the cold weather, try to keep the blanket warm. So use the dryer to get the blanket toasty and use it inside the car or outside. Becoming a parent is not an easy thing. You should have the knowledge of everything about the welfare of your children. You cannot leave your children alone in the home. So you have to bring them in your regular journey. You have no other option except the traveling with children; you have to take all the necessary steps which are essential for their safety in the hostile weathers. Otherwise, a single mistake can be a permanent sorrow for your whole life. So be smart, be conscious. It is your baby. You have to decide what you should do for your baby. We hope, from our discussion you will be must be benefited to learn about what should be your next step in this kind of hostile weathers.